My friend V has told me about this dish for a long while but I have never made it. Being at a loss for something to make for the grandchildren I decided to try it. It is such a simple meal to make and it costs next to nothing to make. Being a hearty stick to your ribs meal, it is fantastic for any age. It’s the kind of meal that everyone gathered around the table asks for more. Perfect anytime of the year, it is real comfort food. Make it for guests as a side dish or for your family on nights you need something quick. Once you have made it, it will become a staple in your home. People will ask you for the recipe. You can put your own spin on the dish. Dress it up or dress it down. Either way you will enjoy it. 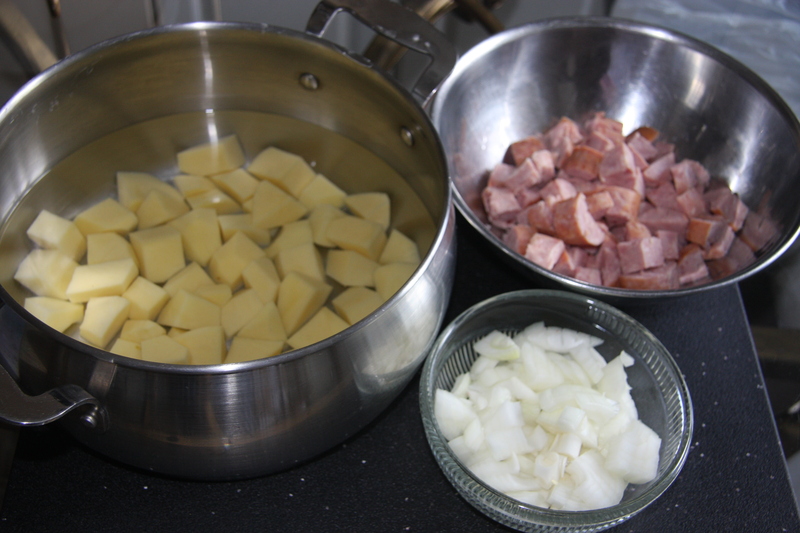 Peel and cube 5-6 potatoes, 1-1/2 pounds of ham or kielbasa and chop 1 onion. Boil the potatoes like you would for mashing. When they become soft drain and set aside. Into a fry pan add a couple of glugs of oil (about twice round the pan). 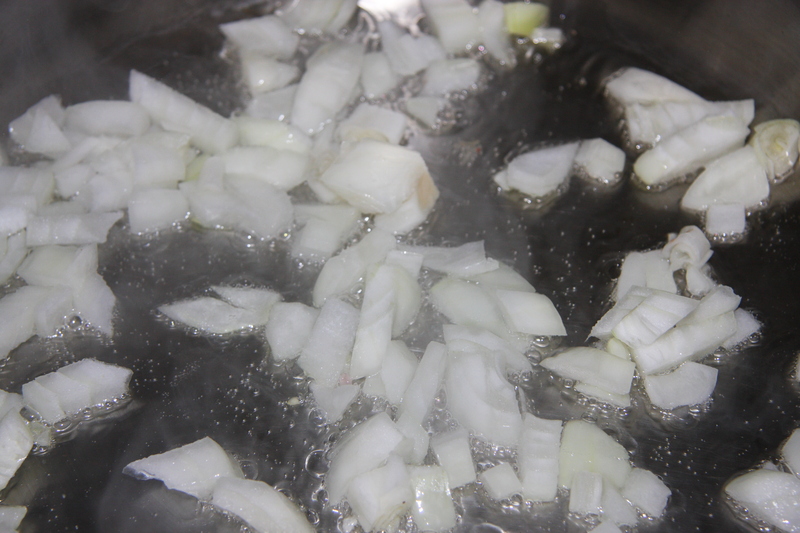 Add onions and fry until translucent. 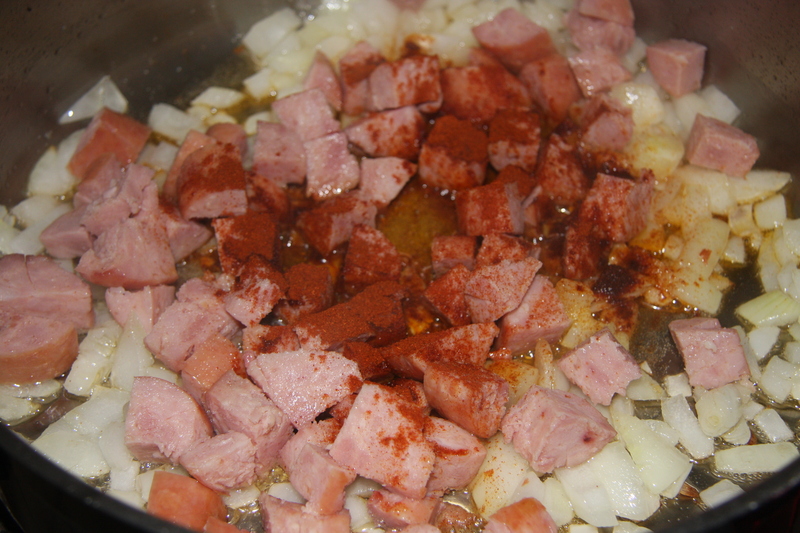 Next add kielbasa and 1 tablespoon of paprika, more if you like. Fry until the kielbasa starts to brown stirring as you go. 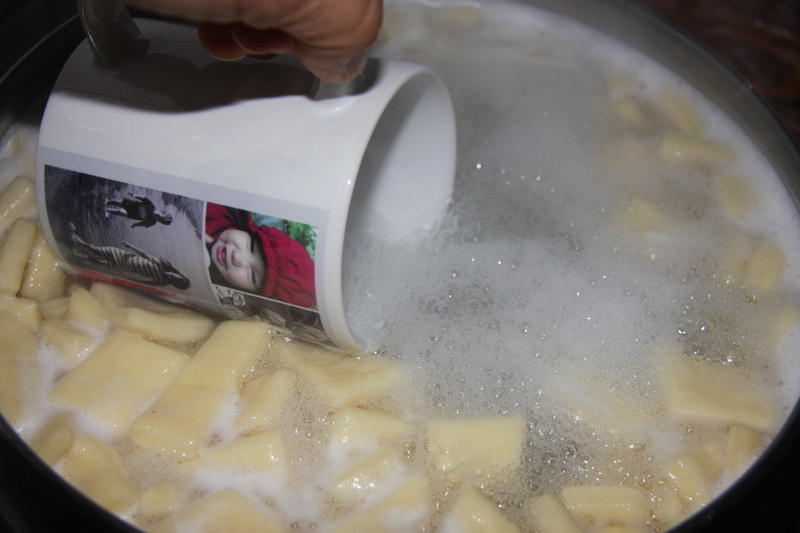 In another pot add a lot of water to cook the pasta of your choice. Egg pasta is a good choice but any will do. Cook according to the instructions. Just before draining the pasta reserve about 1 cup of pasta water. Set aside. 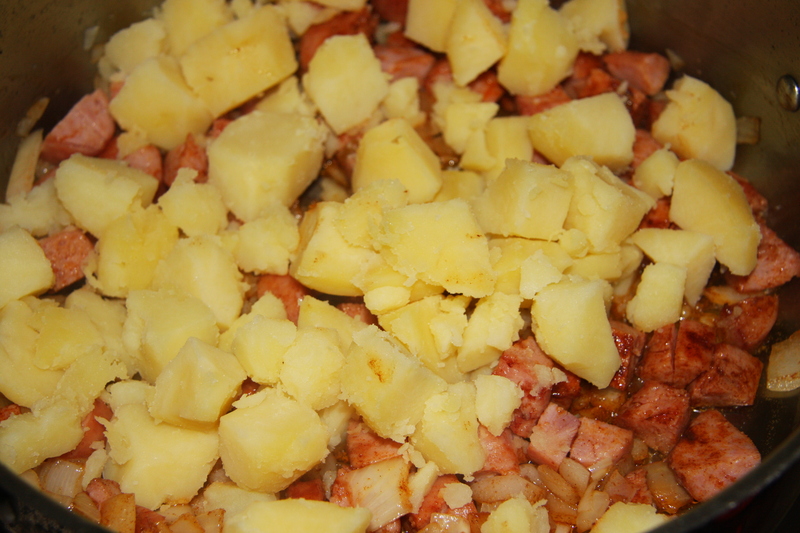 Add the drained pasta to the kielbasa and potato mixture. Add some or all of the pasta water to combine the ingredients. Keep stirring until everything is combined and well coated. Add salt and pepper to taste. 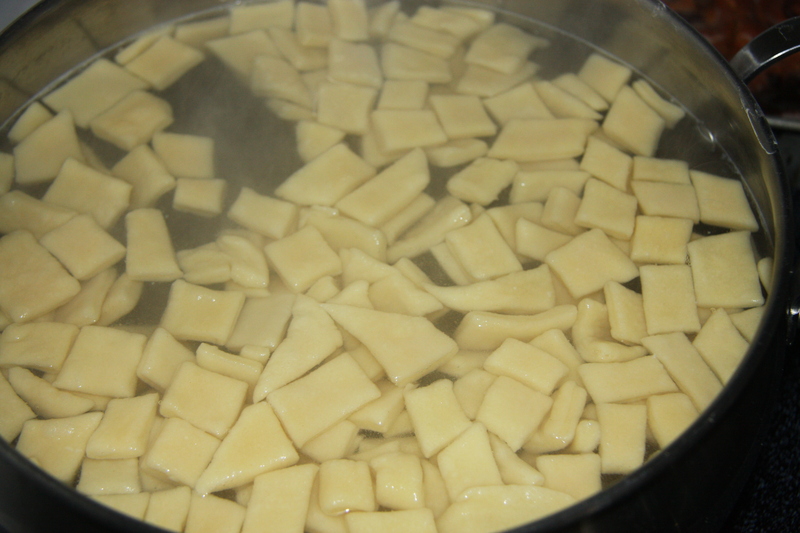 Peel and cube the potatoes. Cook until soft but not mushy. Drain and set aside. 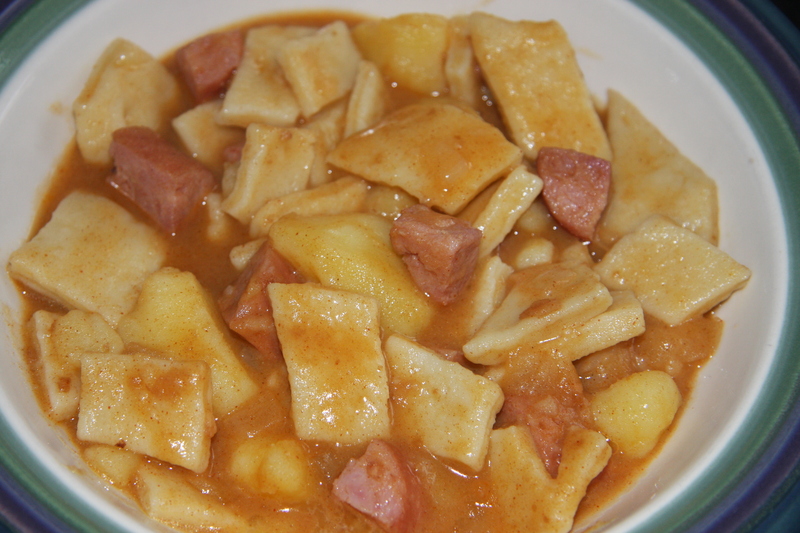 Fry the onions in oil until translucent add kielbasa, potatoes and paprika. Stirring to ensure ingredients don’t stick to bottom of pan. 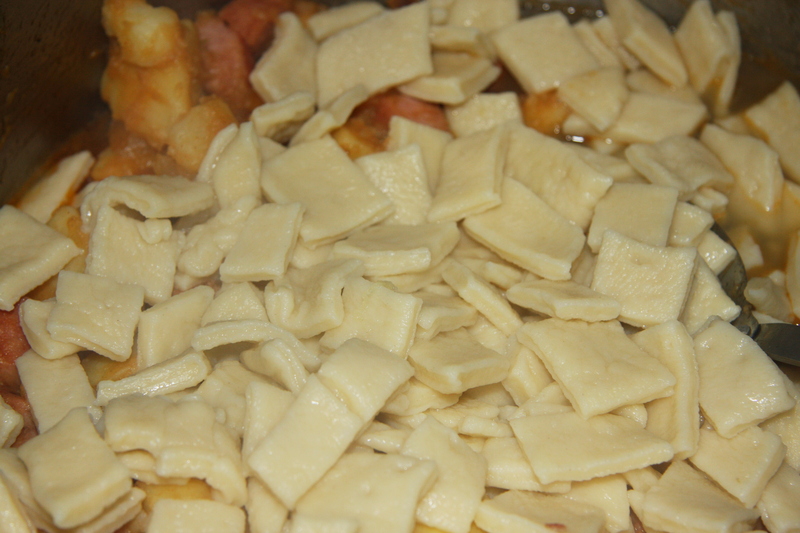 Add the pasta, mix well while adding some or all of the reserved pasta water. Salt and pepper to taste. “Good enough to eat. :” Keep on cooking.